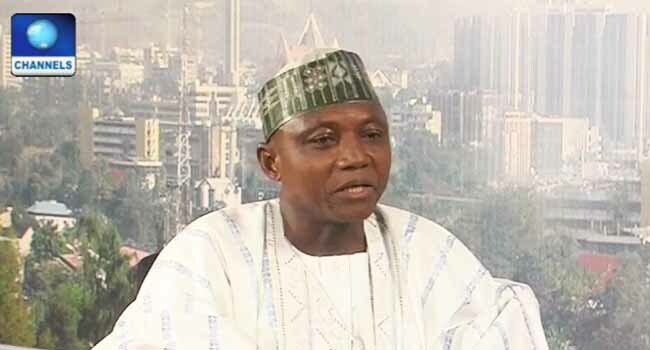 The Senior Assistant to the President on Media and Publicity, Mr Garba Shehu, has spoken about the controversial reinstatement of a former chairman of the Presidential Task Force on Pension Reforms, Abdulrasheed Maina, the 2018 budget proposal and efforts to repatriate looted funds, among other issues. He spoke about these issues on Channels Television’s Politics Today. Do you have an idea of when the president will present the details of the 2018 budget proposal to the National Assembly? Soon. The President’s earlier commitment was by the end of October. I hope we will be able to do that. The budget is work in progress. The presentation by the minister at the cabinet is for it to be debated and agreed upon. Obviously, you would expect that there will be knocks for it here and there and the need to change this and that. And, therefore, they obviously have to go back to the drawing board. A technical committee of the cabinet will work on the final shape of the budget before we take it to the National Assembly. I optimistic that it will be completed very soon and within the time giving by the President. Well, the President would not have given that assurance (that the budget cycle will be regularized) without him speaking to the National Assembly and getting their support on the need to restore the budget cycle to what it used to be – January to December. The executive arm of the government has signed onto this, parliament has signed unto this. So, I believe that the two arms of government will work with one another in a complementary fashion to ensure that this country restores this budget cycle – January to December. What are the details of that 2018 budget proposal as presented today and deliberated upon at FEC meeting? What I can say to you is that the entire budget has been planned in line with the ERGP, which the government has launched and that this, broadly speaking, is aimed at continuing with the growth of the economy, investing in the people of Nigeria and also ensuring that the economy transforms into a globally competitive one. Beyond that you know I cannot disclose to you the numbers, for instance, and I am sure quite a number of the viewers are interested in knowing how much the government will be spending. The executive arm of the government sits and debates issues the same way you see the parliament do it. Therefore, though the Minister of Budget has done his job, that is not in any way to suggest that it is a job that was complete. Today’s discussions were very interesting, and the viewers were divergent. In the end, the President said this is the way. Therefore, the budget ministry has gone back to the drawing board and they will finalise on each of the elements that are contained in the budget. A lot of corruption issues are coming on the table, one of them is linked to the wife of the President; the allegation by a Senator that the Inspector General of Police gave two SUVs to the wife of the President. Have you seen the wife of the President driving such SUVs? This is an ambush because I don’t work in the office of the wife of the President. Yes, I have heard you reading from your notes and some of the things that happened in the National Assembly. The Office of the Wife of the President has a spokesperson – she has a little establishment that is taking care of her own. I believe they are in the best position to discuss these elements. Eighty-five million dollars is what we have recovered from the Malabu Oil deal which runs into billions of dollars. What are we doing to recover much more of such money? And do we have the Malabu money in cash? Yes, from what I have heard from officials. You know the court deciding this matter, instantly ordered the funds officer of the court to immediately transfer this $85 million to an accredited account of the Federal Republic of Nigeria. I checked with the officials and they said all that is necessary to get back this money has been done. Therefore, the money will flow in. Why is it difficult for us to get all the money? It is because it is a conspiracy of the international system. A lot of these leaders, they say one thing and then they do the opposite of that. All these money is in their system, invested into lending and borrowing and all those things. They simply are enjoying our cash and they don’t want to let it go. This is the huge conspiracy that we are confronted with. No, no, no. Please, don’t stick this on President Muhammadu Buhari. As we said in that statement (on Maina’s reinstatement), this is a mess we inherited; the Maina Saga – the bribery and the sharing. N24 billion (was what) he took over on the day he took that office. When he left, (there was) one million naira left. So, it happened under the watch of the previous administration and that is why we said, morally, they have no right to accuse us. What is the Buhari government doing? The President has got all the reports, he is going to take a decision, but this issue is a big one. It’s expanding and we welcome investigation by anyone – the Senate, the House of Representatives. In fact, the Interpol just put Maina on their wanted list now. A fresh warrant has been issued for his re-arrest. And all of the cases – you know there are a number of ongoing cases in the country which he would have been a part of. Now he is back home, he is going to have his day in court. People just sat down and were receiving cash from that man, knowing full well that it was the police pension that he was sharing. People who ought to investigate him, who ought to send him to trial, beneficiaries of that heist. In the coming days, the President will decide and all of these things will come out.